As I was working on this project I was thinking of my mom and her life. The love of her family (children, grandchildren and great grandchildren) and her love of nature were a huge part of what made this woman such a special person. I wouldn’t be the creative spirit that I am today without the love and support of my mother. 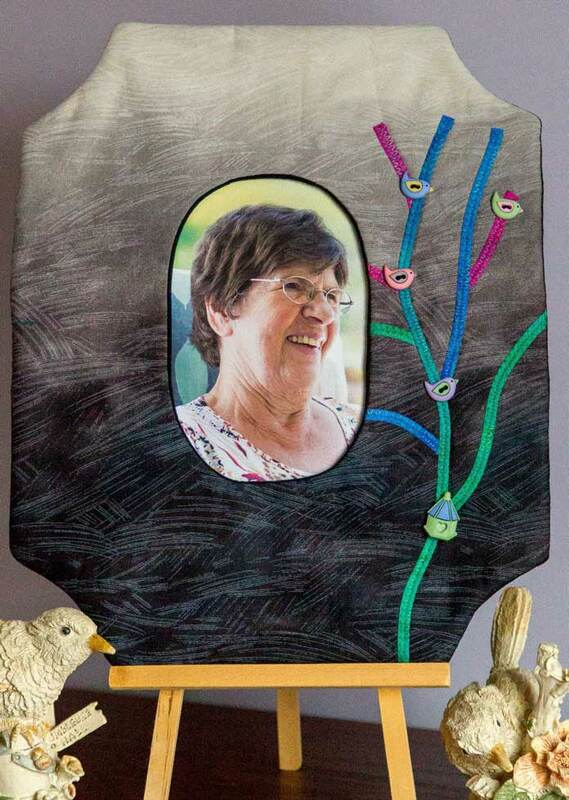 I wanted to include a branch for every member of her family but that would involve an entire forest so I used buttons and embellishments to represent some of the special people and things that made her life so special.